About the log fire within. 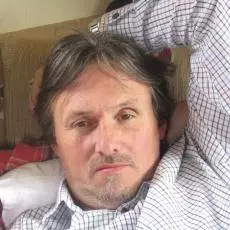 Mark Andrew Heathcote from Manchester, UK, is the author of “In Perpetuity” and “Back on Earth” two books of poems published by a CTU publishing group, Creative Talents Unleashed. He is an adult learning difficulties support worker, who began writing poetry at an early age at school. Mark enjoys spending his leisure time off work reading and writing and spending time gardening.